Keith Haring, a prominent American visual artist of the eighties, is known for his bold, energetic line drawings. Alive with whimsy and mirroring the bustling activity of New York City, Haring’s drawings were placed outside of the traditional museum and gallery context, making his work accessible to the public in both the physical and conceptual realms. 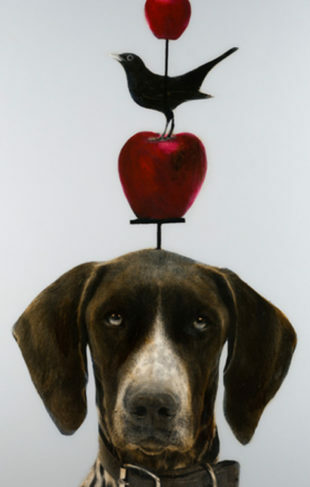 His work is composed of simple lines and recognizable subjects, such as people and animals, allowing people of all backgrounds to connect to his work through themes of love and humanity. Today, his artwork is owned by some of the most highly regarded arts institutions in the world: the Museum of Modern Art in New York City, The Art Institute of Chicago, and the Centre Georges Pompidou in Paris, France. Born in 1958 in Pennsylvania, Haring grew up with a love for comics and drawing. He went on to study graphic arts, and had his first solo show in Pittsburgh in 1978 upon dropping out of school. That same year he moved to New York City to attend the School of Visual Arts on scholarship. It was in New York where he established his recognizable mark, and where he found his canvas of choice—the streets. 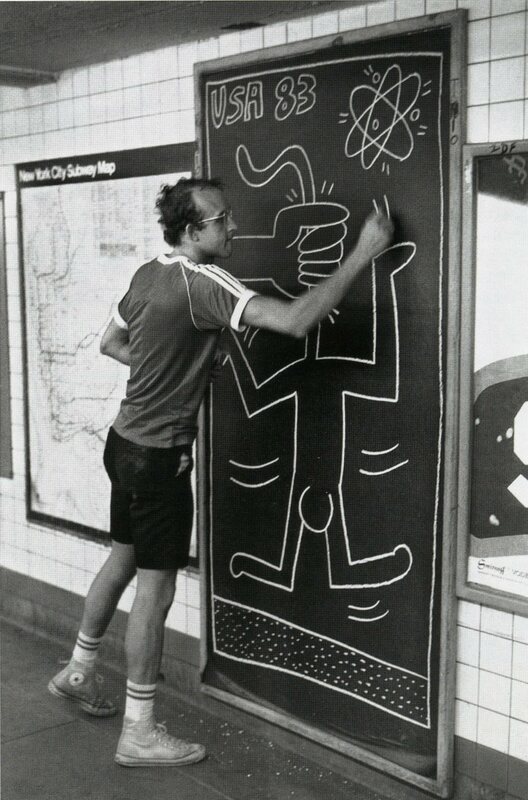 Haring began using white chalk to draw on the blank, matte black paper of empty advertisement slots in the New York City subway system. From 1980 to 1985 Haring completed hundreds of these drawings. From there, Haring began to bring his art onto murals and into new public spaces. As his recognition grew, Haring began to create paintings and drawings on canvas and paper as well. 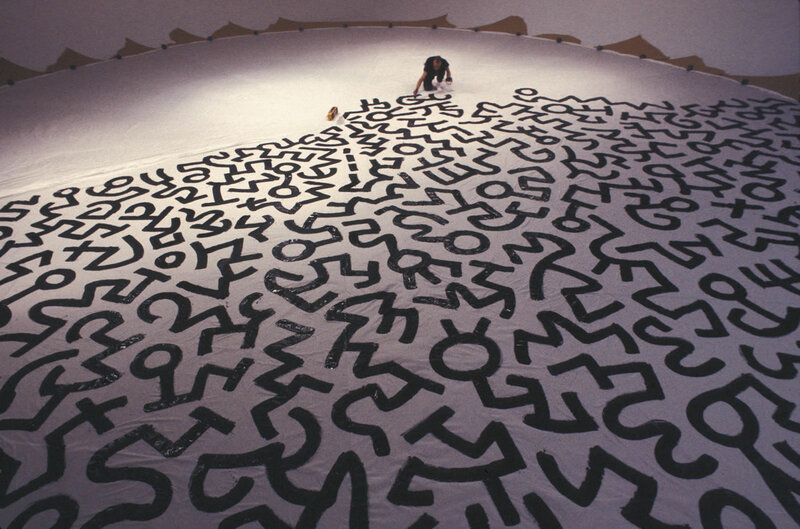 In 1988 Haring was diagnosed with AIDS, the following year he created the Keith Haring Foundation, which provides funding and imagery to AIDS organizations and children’s programs. Haring died in New York in 1990 due to AIDS-related complications. He spent the last years of his life generating awareness and activism for AIDS through his imagery. To this day artists are inspired by him, and his recognizable mark has made impressions on artists like Craig Alan. 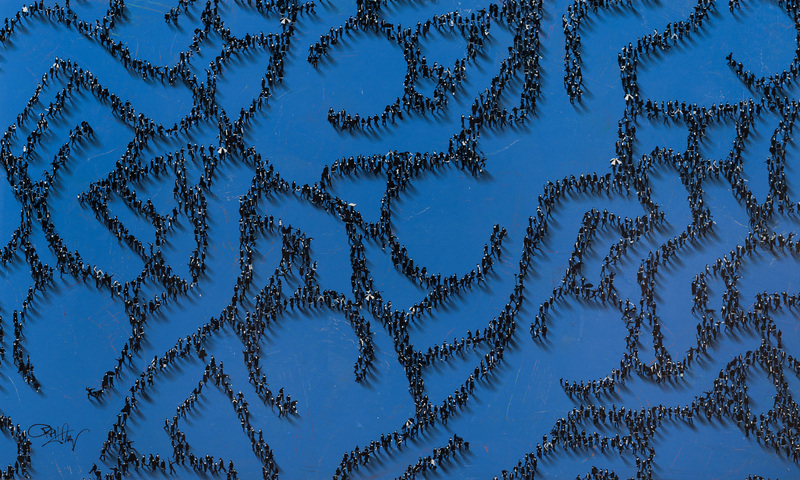 Alan has created a number of works from this “birds’ eye view” lens, painting tiny figures in lines or clusters that when combined with negative space, join together to depict a pattern or often times, an iconic symbol or composition. Here, Alan groups his tiny figures as an ode to American artist and social activist, Keith Haring’s, famous pop art figures. Alan, “Art for Everybody,” Mixed Media on Wood, 36 x 60 in. In his short life, Haring was featured in over 100 exhibitions, was featured in dozens of articles, and was an extremely sought-after collaborator, working with artists and celebrities like Madonna, Grace Jones, Jenny Holzer, Yoko Ono, and Andy Warhol. Posthumously, he continues to be the subject of many exhibitions, articles, and essays within and outside of the art world.